Between work, family and whatever else life throws at you, time is in short supply. Getting to the gym every day can be a challenge. However, you don’t need a gym to keep up with your fitness. All you need is the desire to stay on track, some open space, a few dumbbells and 30 minutes. That’s possible for even the busiest of busy bees. So, the next time your life commitments attempt to bump your workout, try this workout from India Paulino, the 2013 Arnold Classic Bikini International Champion and Australian Pro Champion. 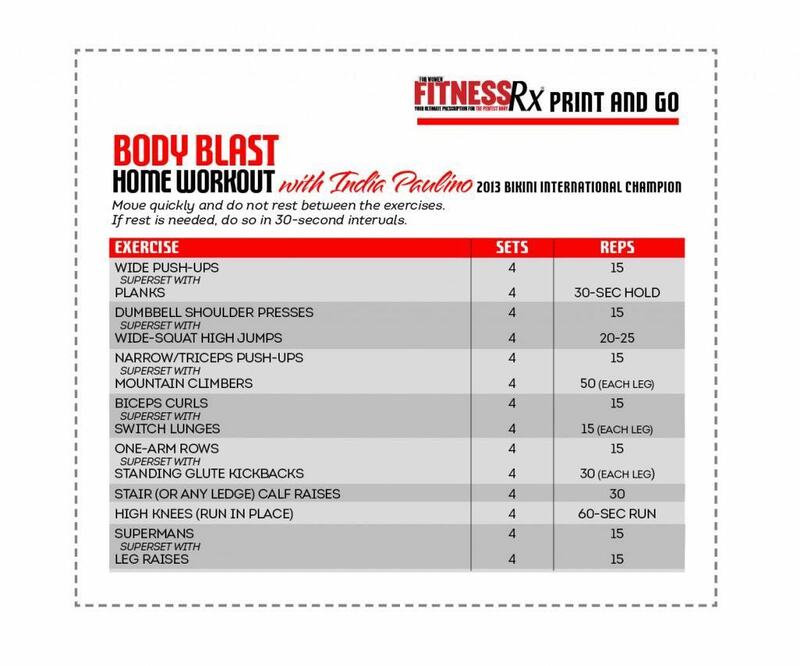 It’s a high-intensity, fat-burning, Body Blast Home Workout, so heck, even if you’re not busy, give it a whirl just for fun! India shares a few of her tips to help you master the exercises and get to work!